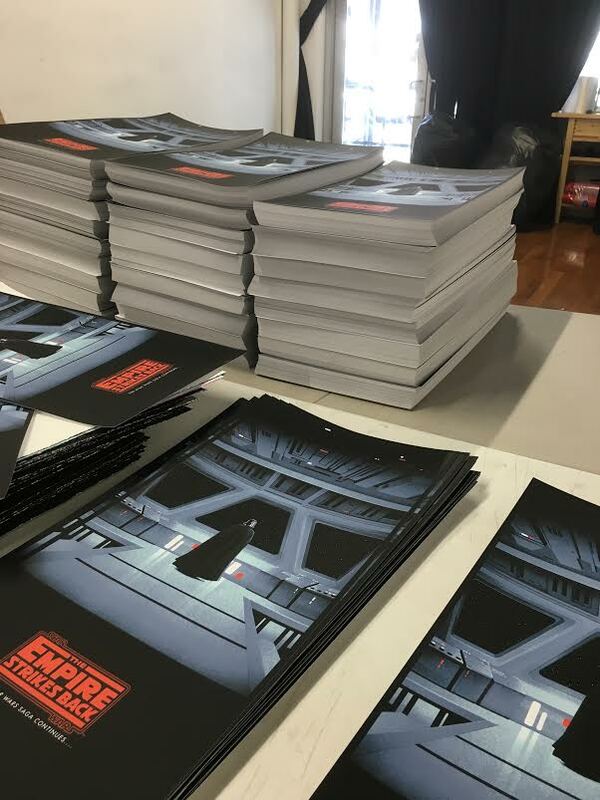 Last week we received in Matt Ferguson's The Empire Strikes Back prints and all have been numbered. We are currently waiting on the next two to come in. Our printer for this project, Lady Lazarus, are based out of Houston, Texas. Over the weekend they had a nasty storm so that took out some production days. All should hopefully be done printing by the end of next week. We know we are a little over schedule. We estimated about half of what was actually sold so we thank you for your patience. Everyone on this list will be rewarded in some way or another in the near future for the wait.